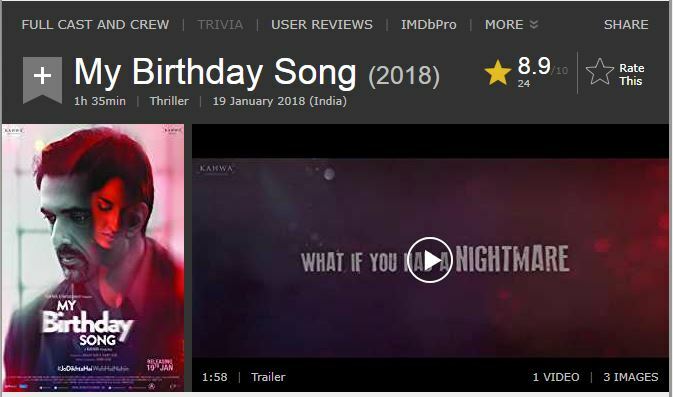 My Birthday Song rated 8.9/10 on IMDB and receiving critical acclaim all over. 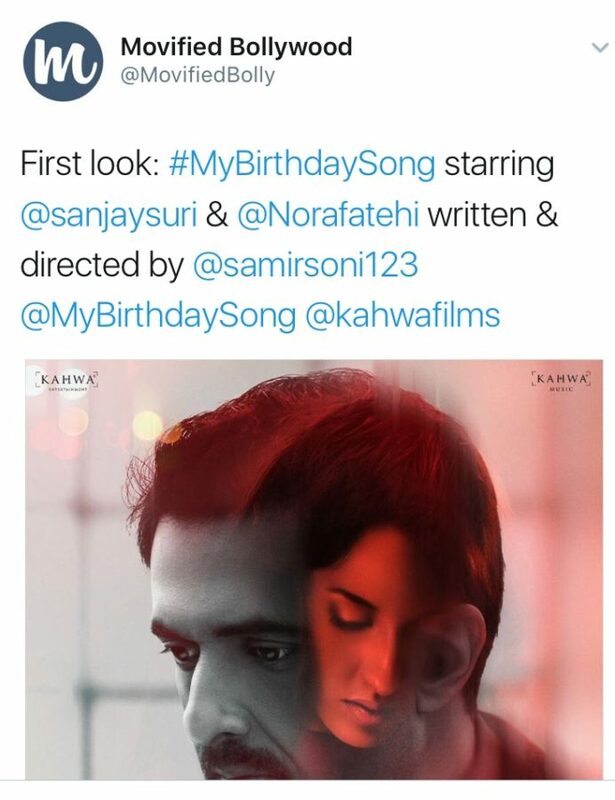 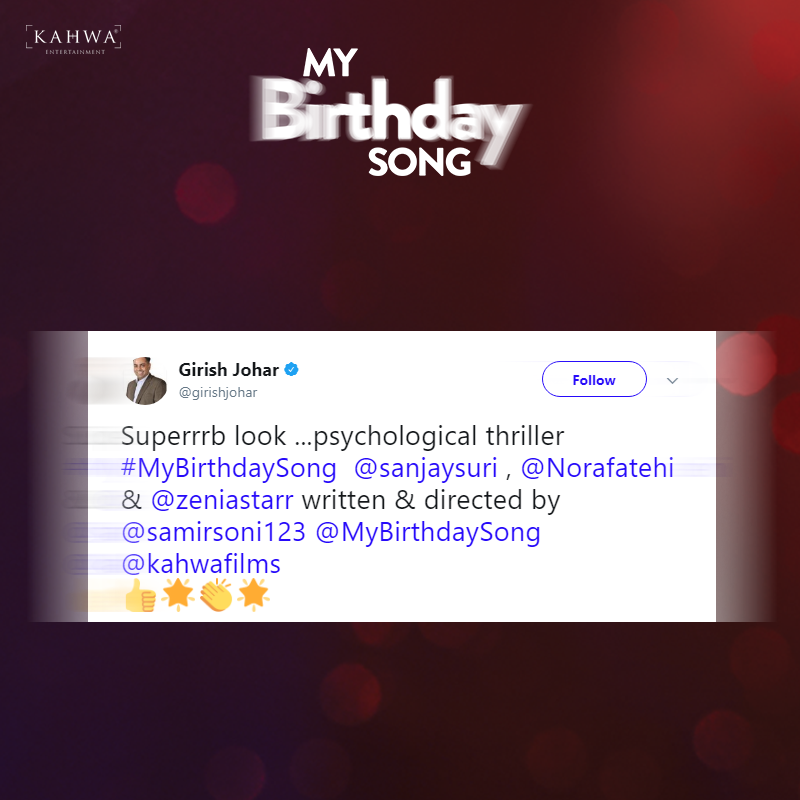 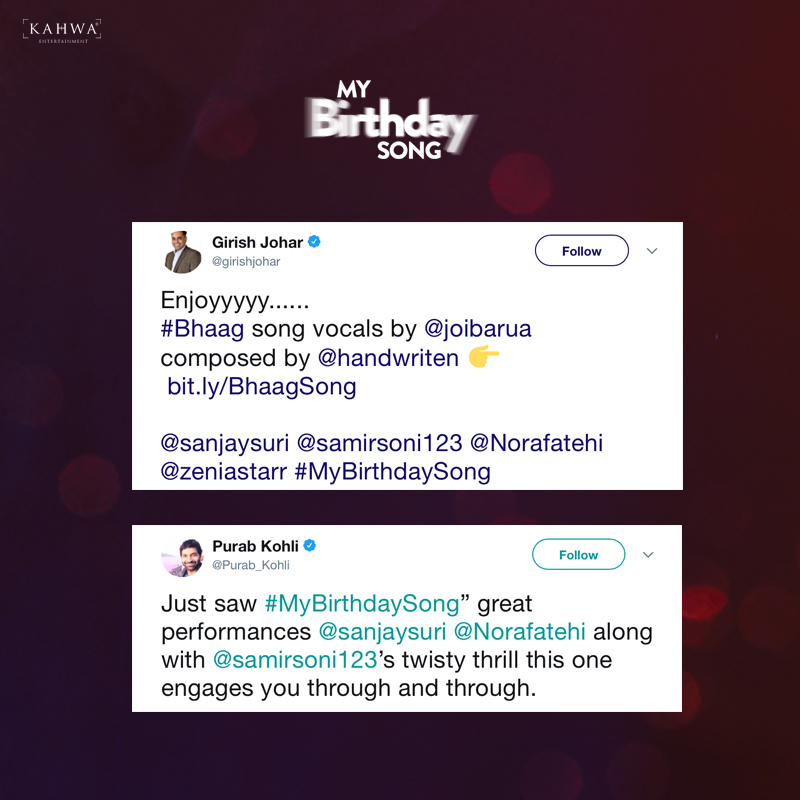 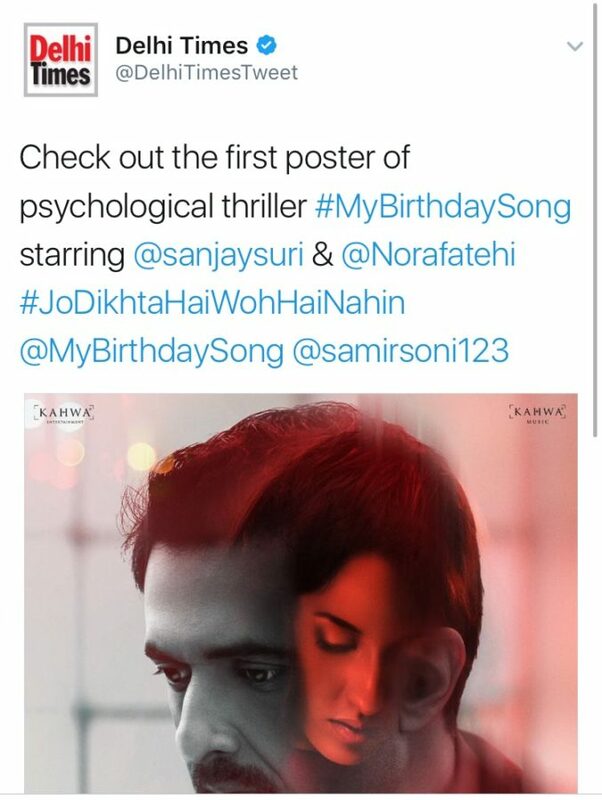 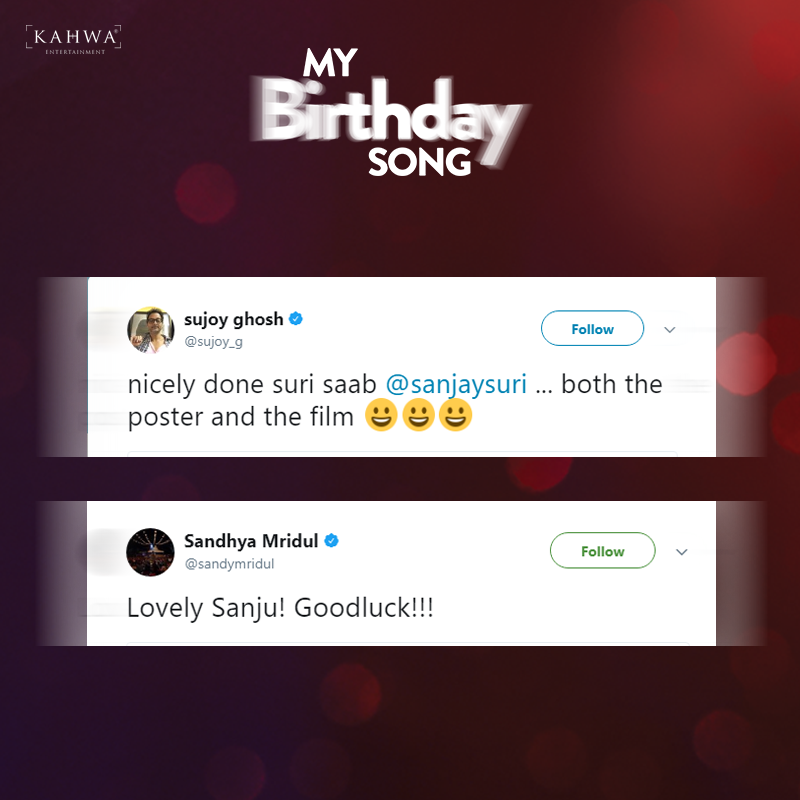 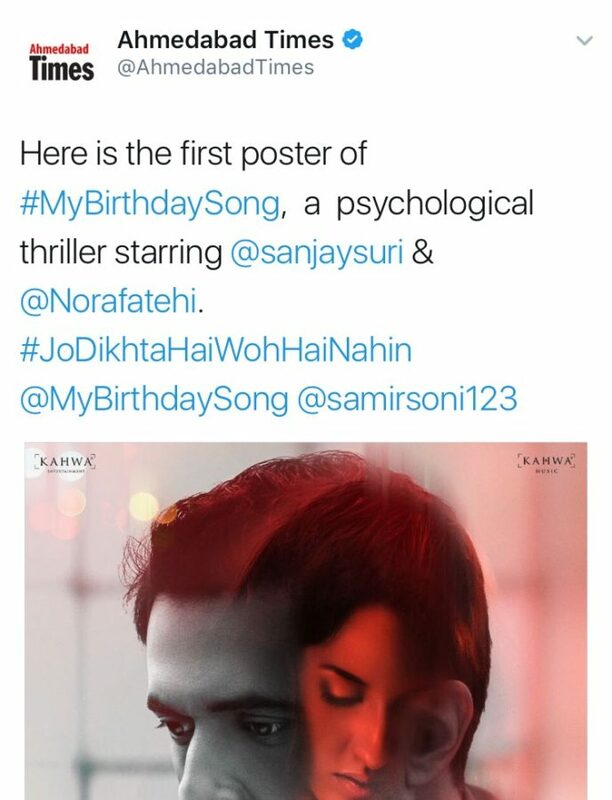 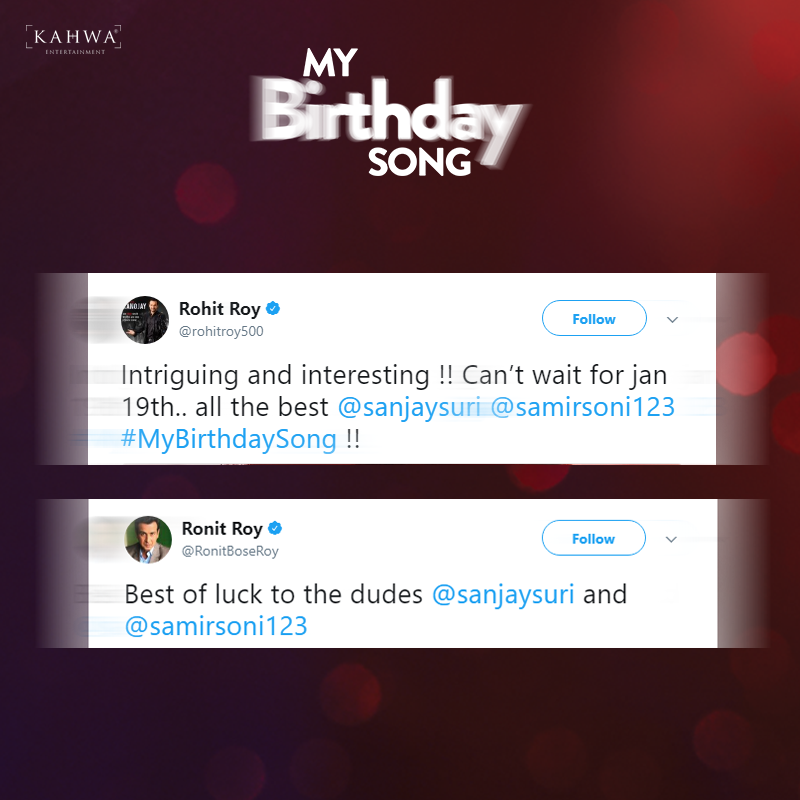 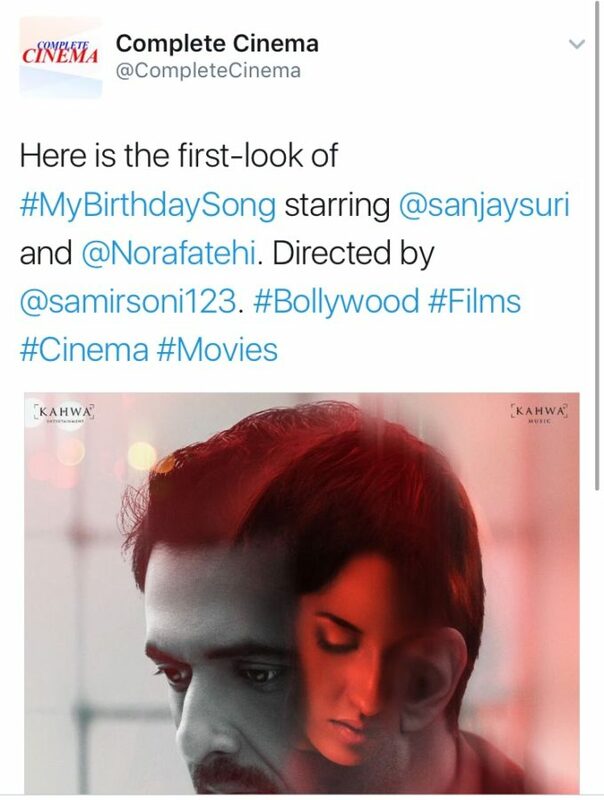 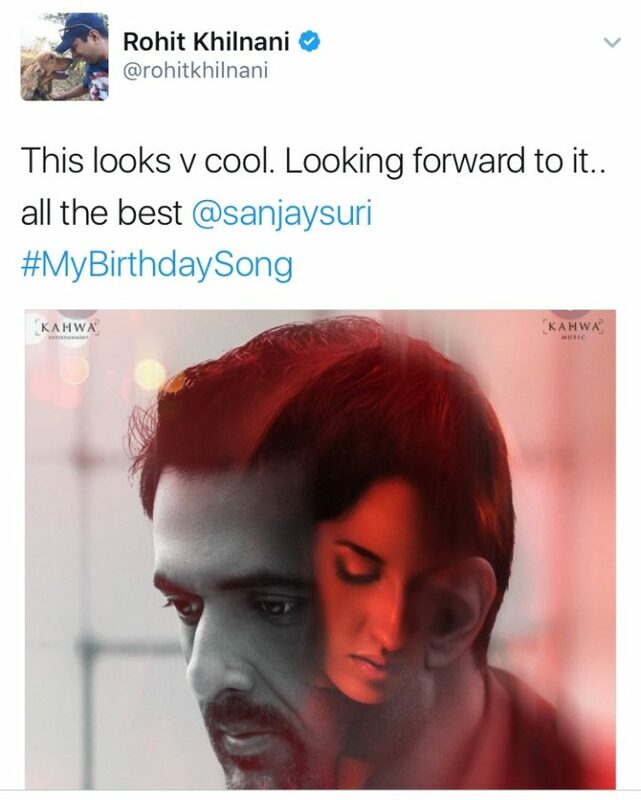 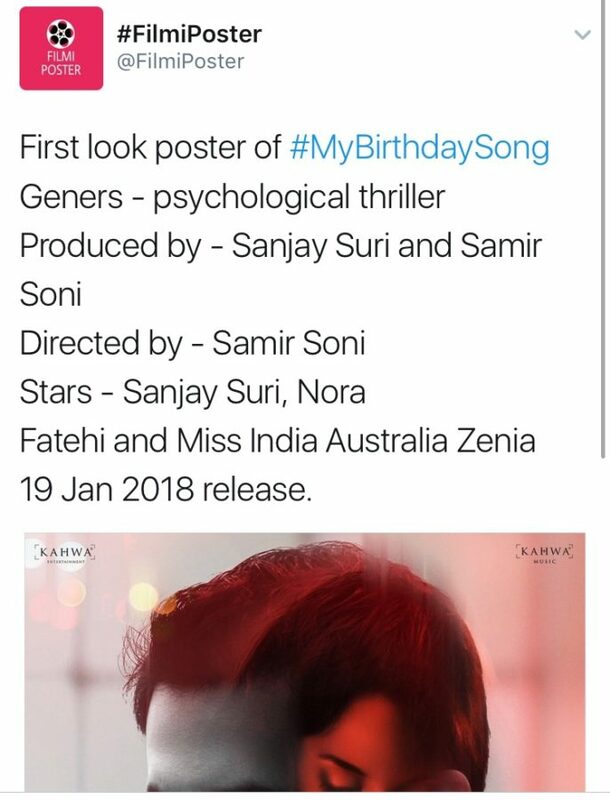 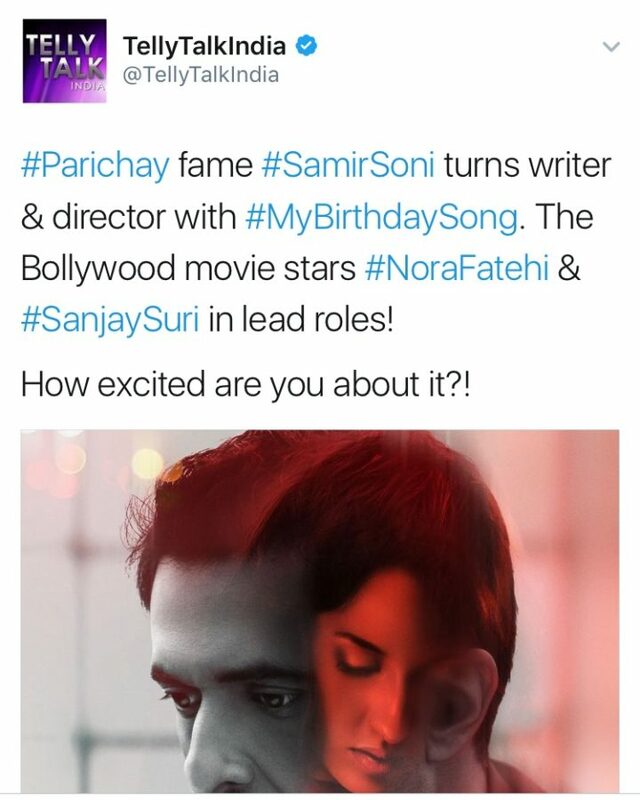 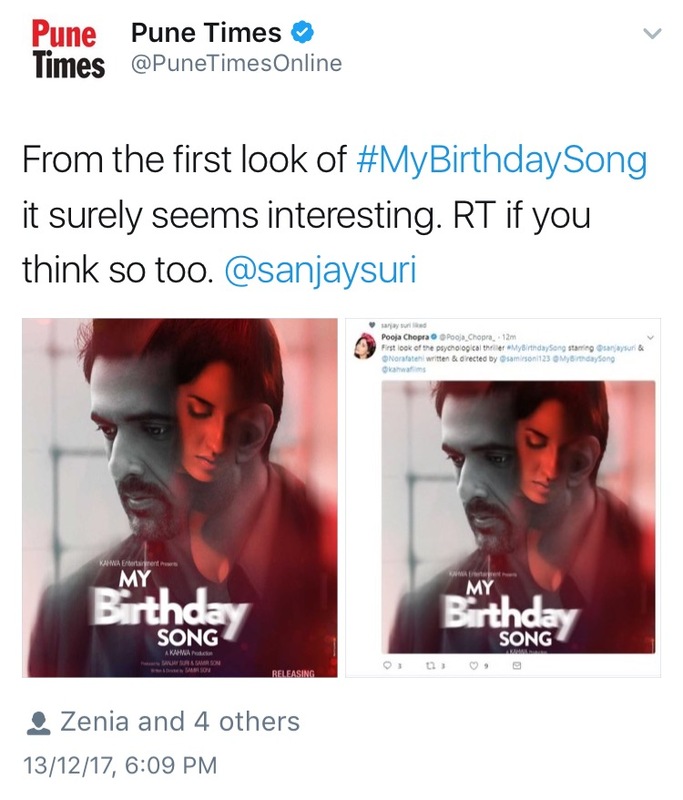 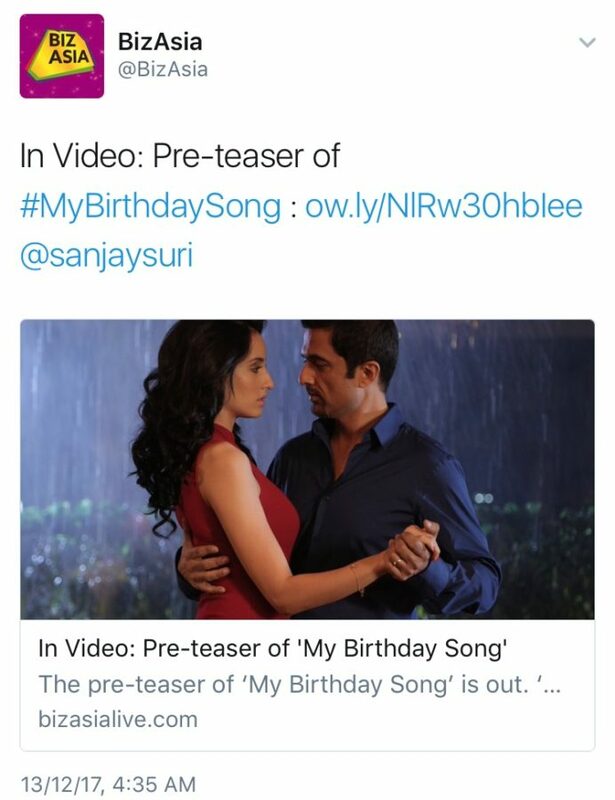 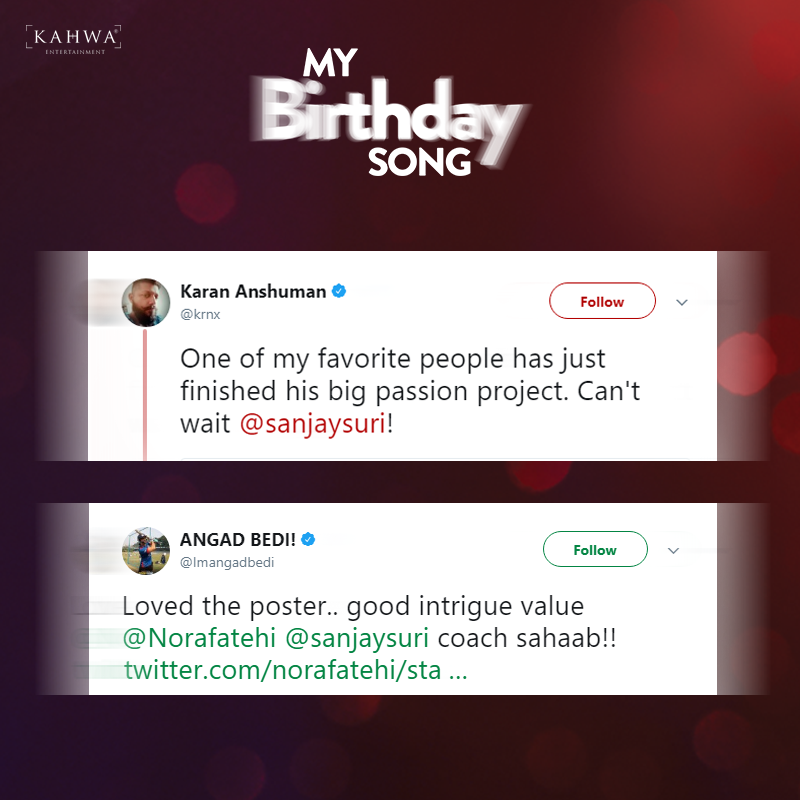 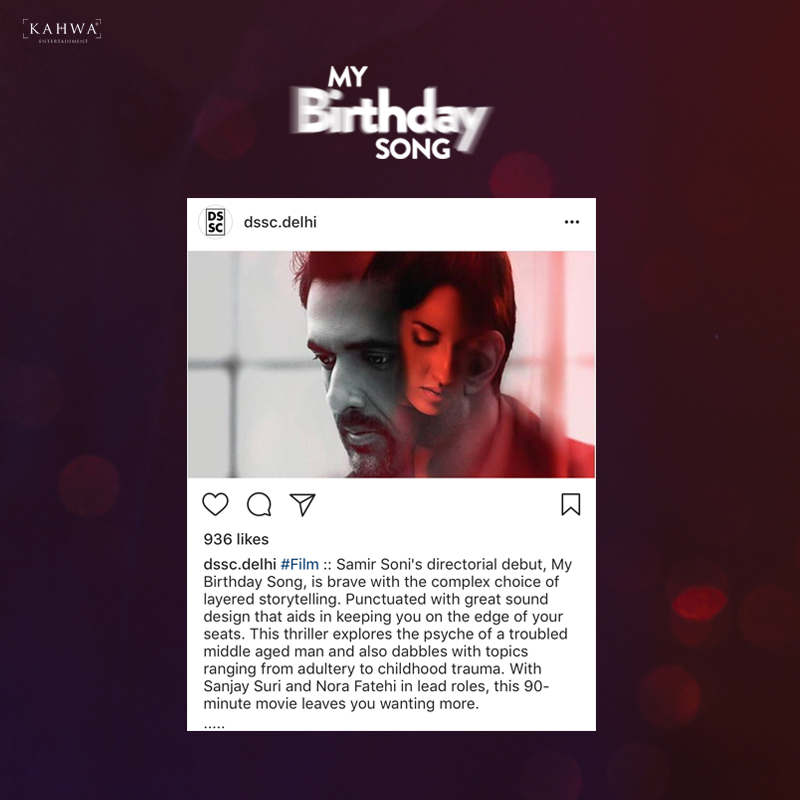 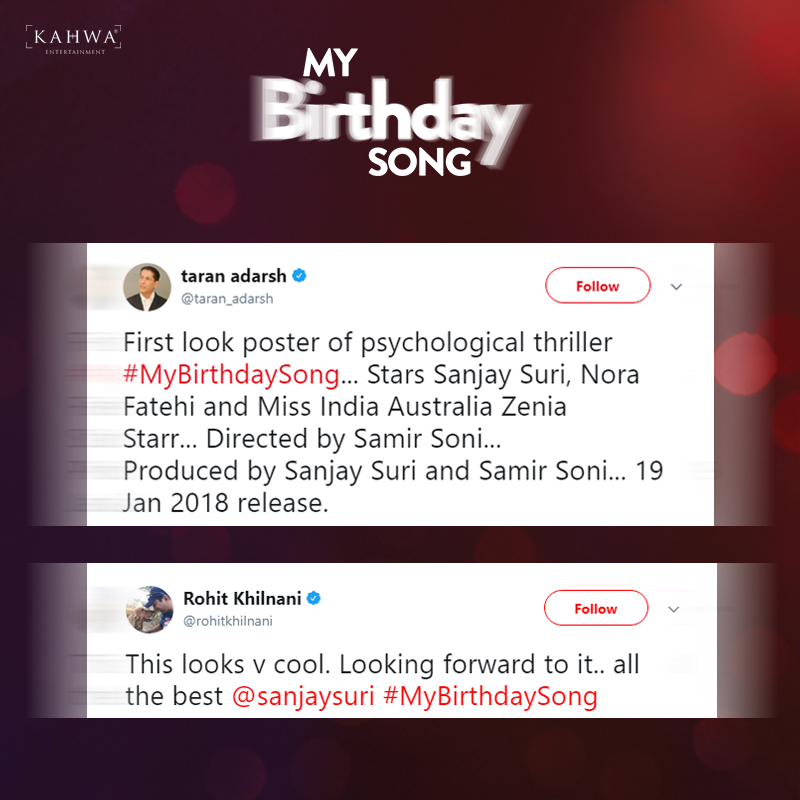 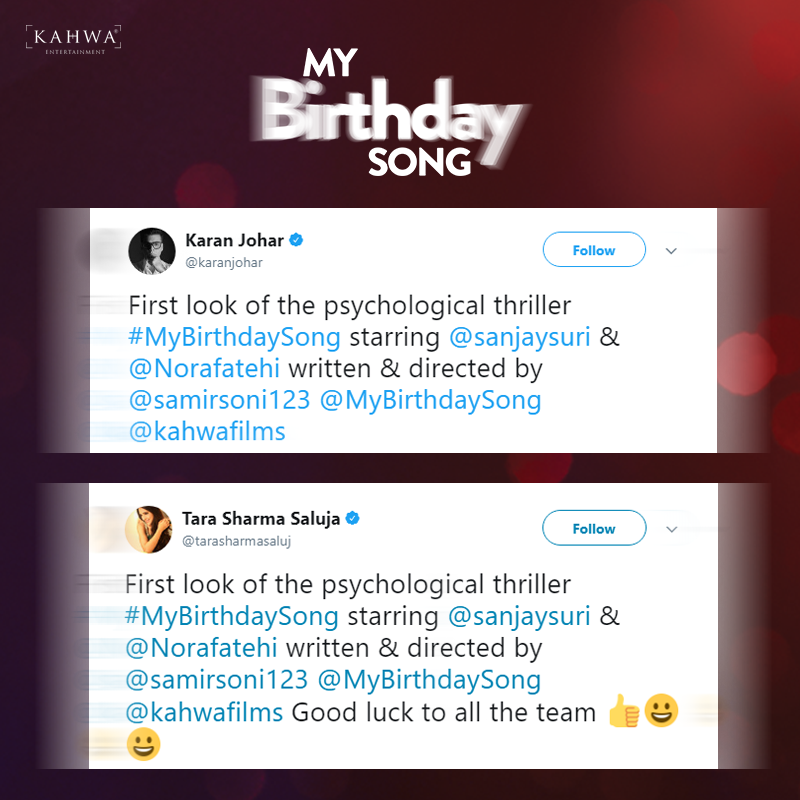 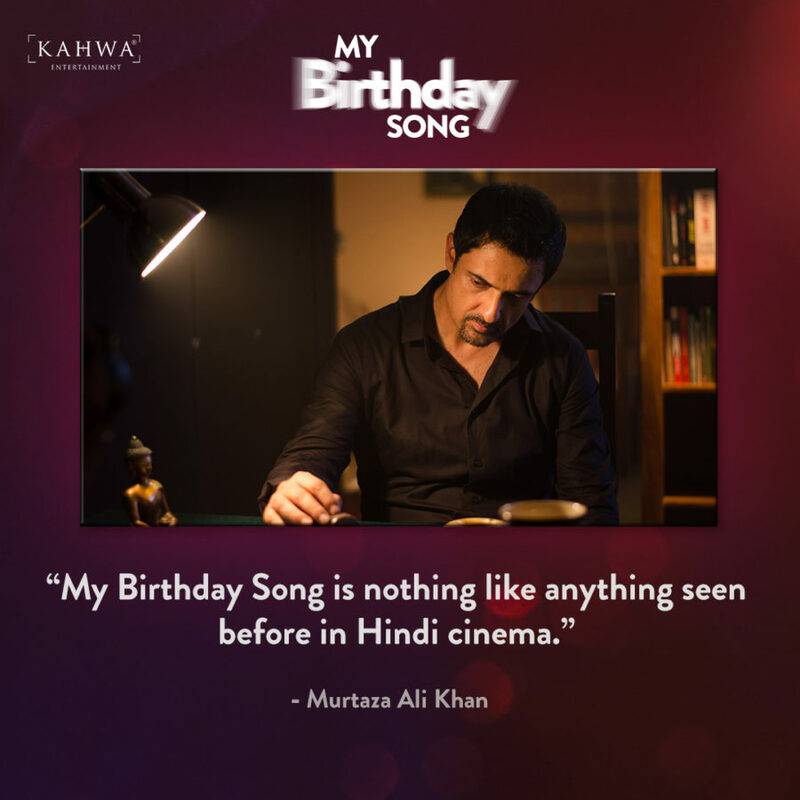 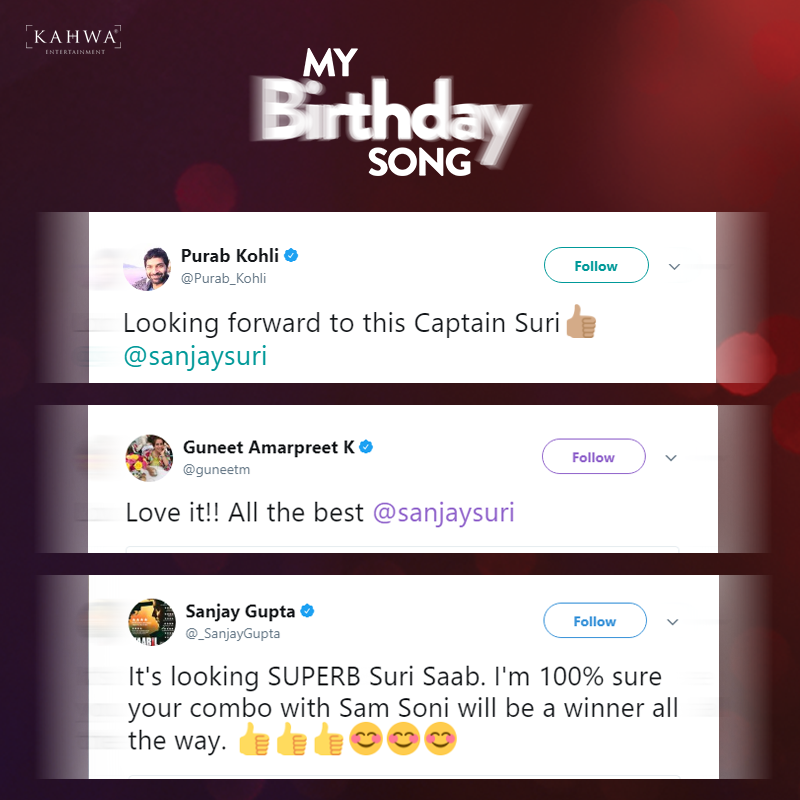 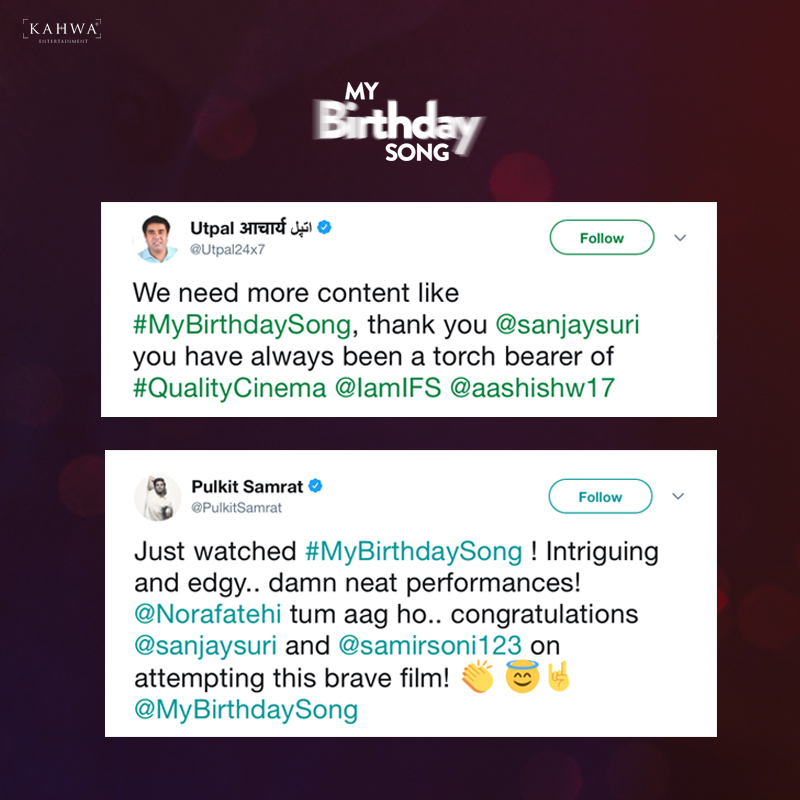 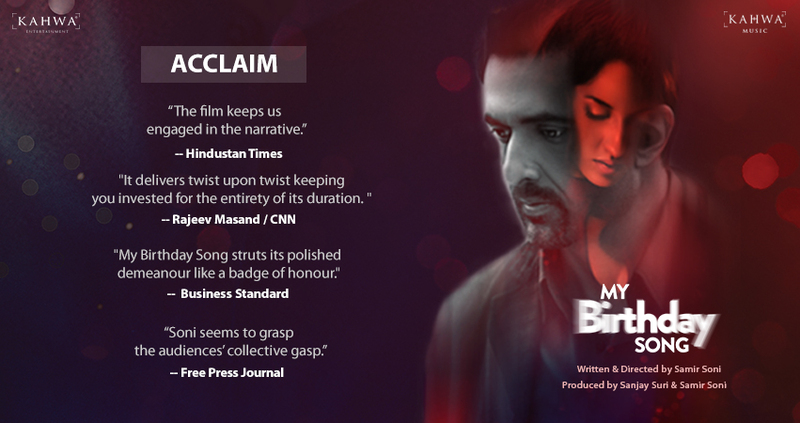 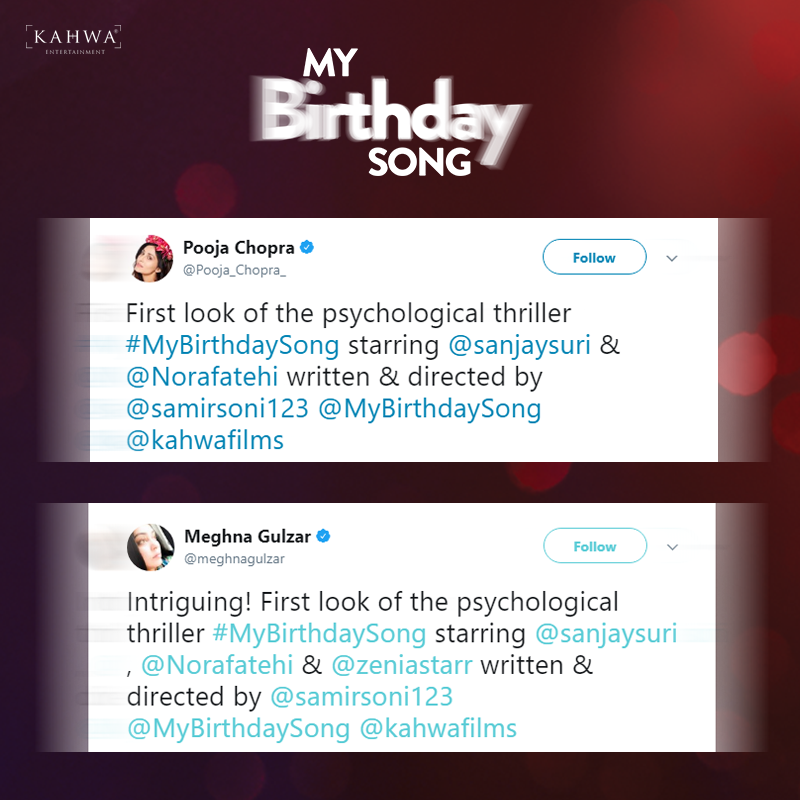 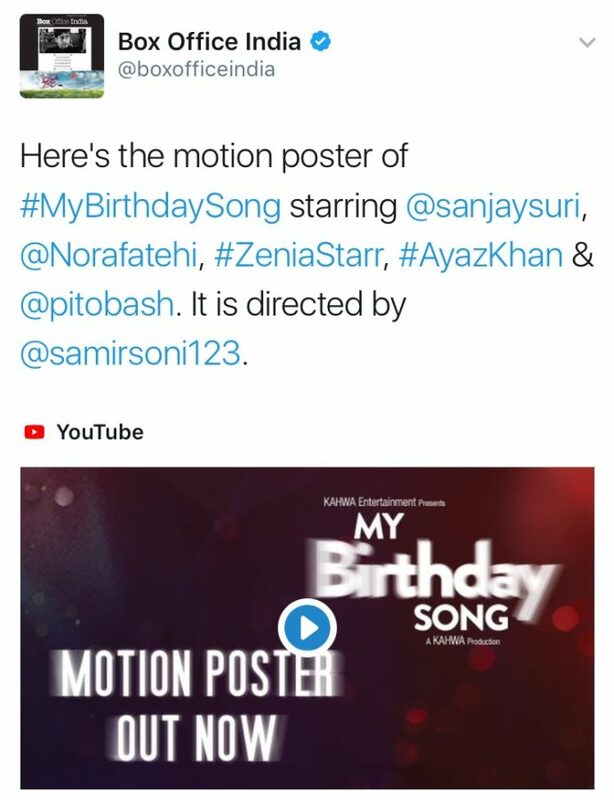 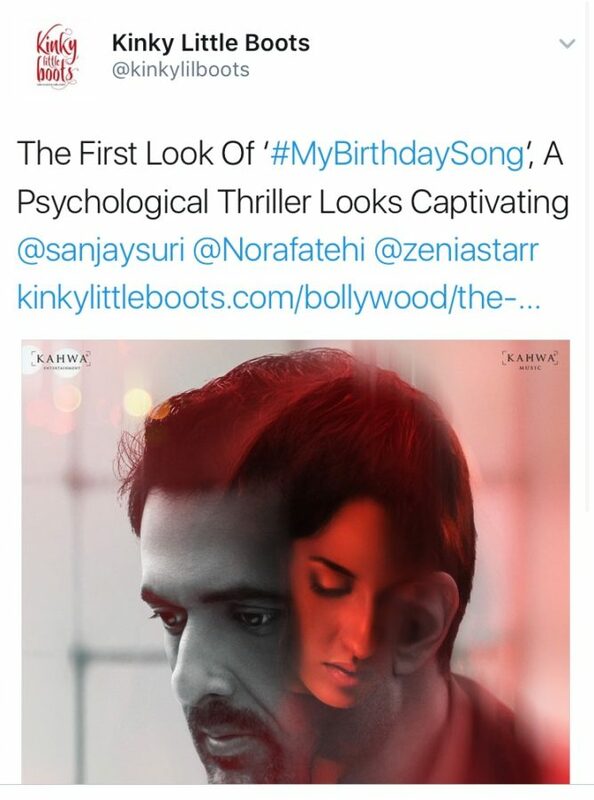 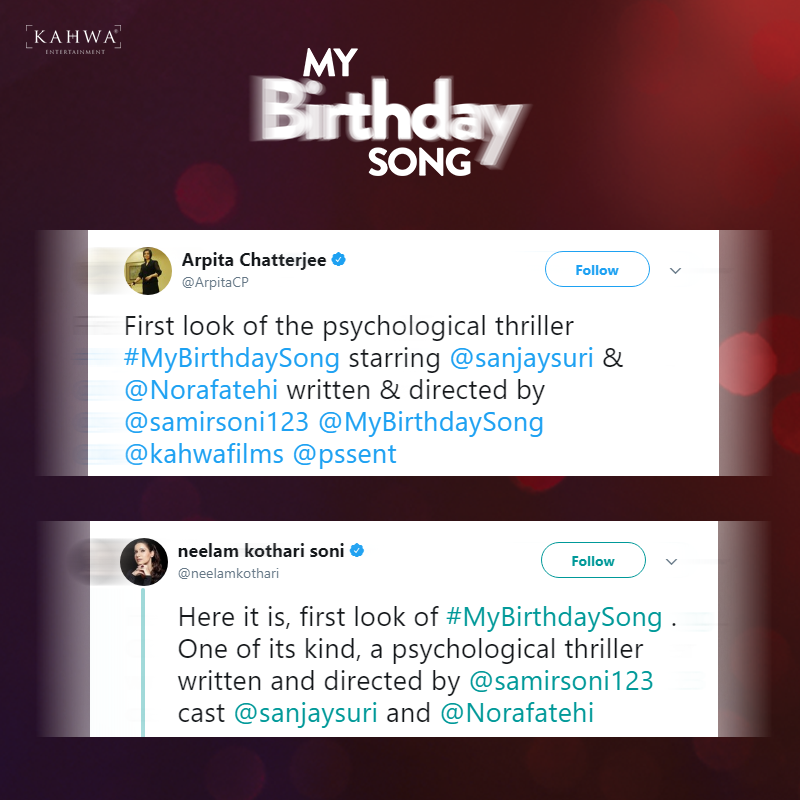 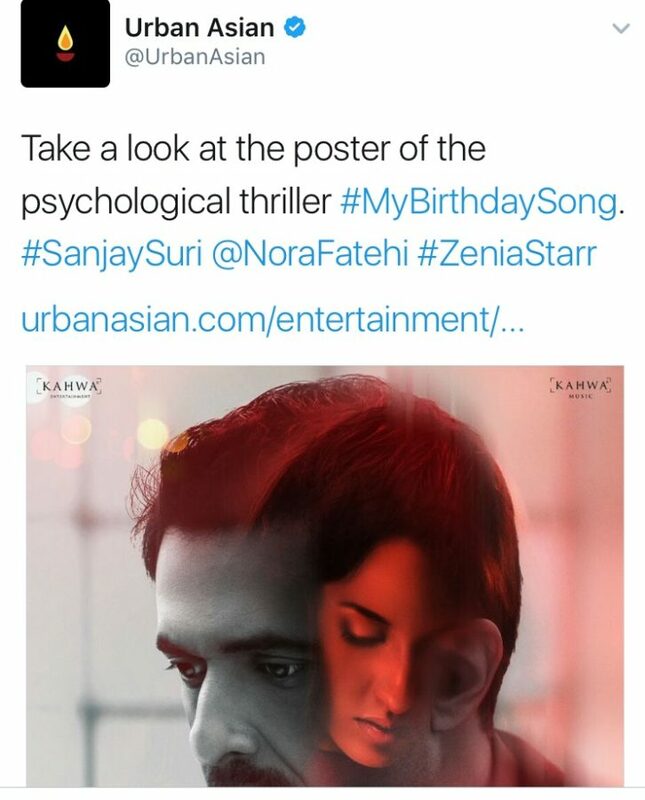 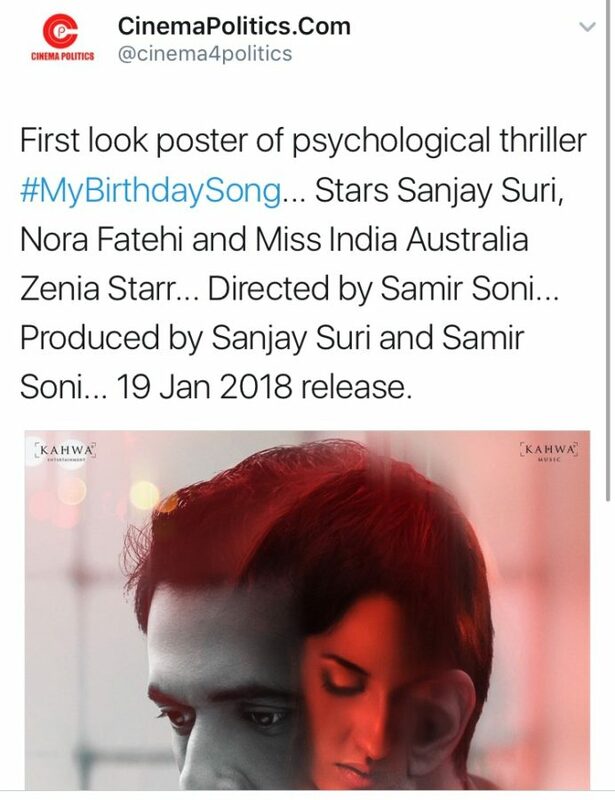 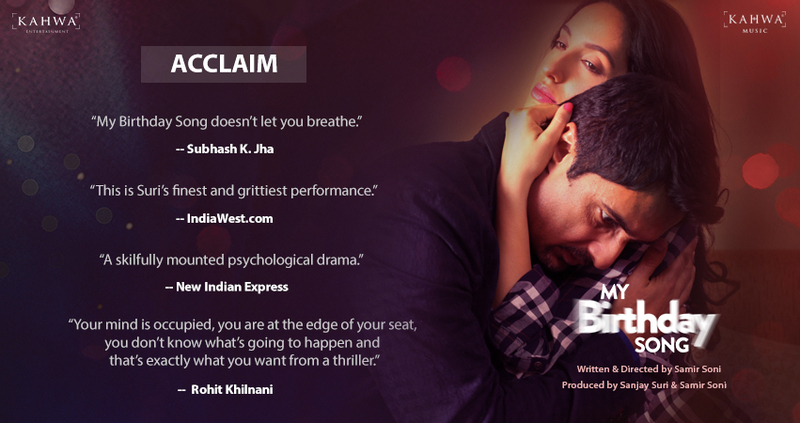 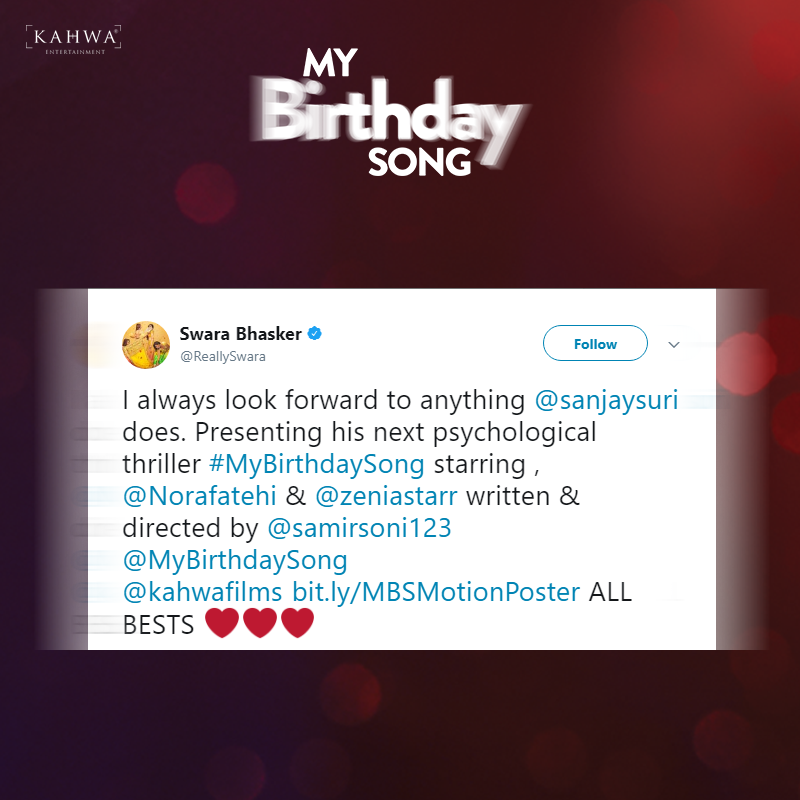 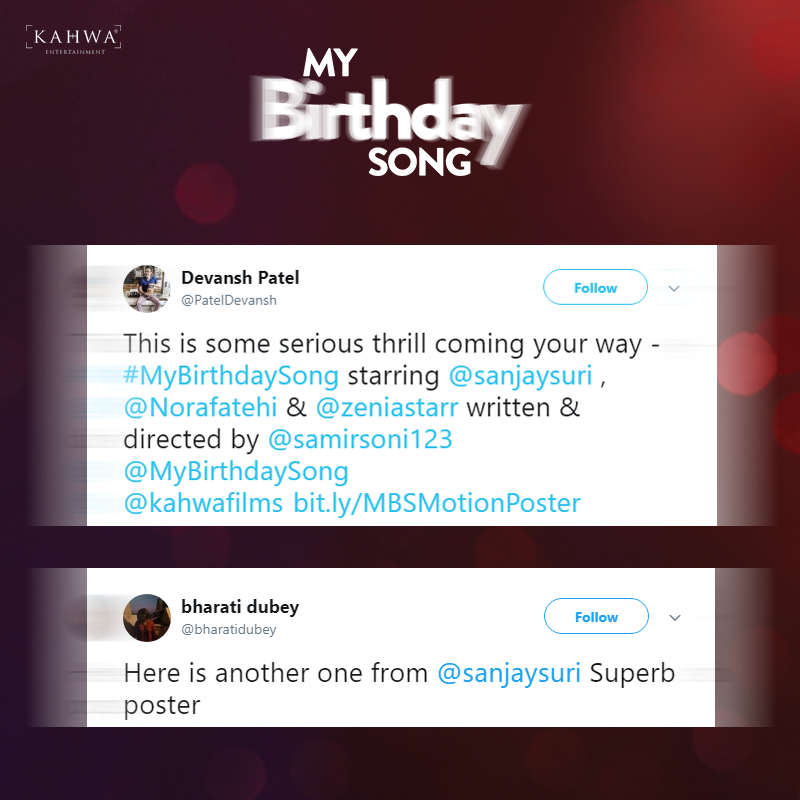 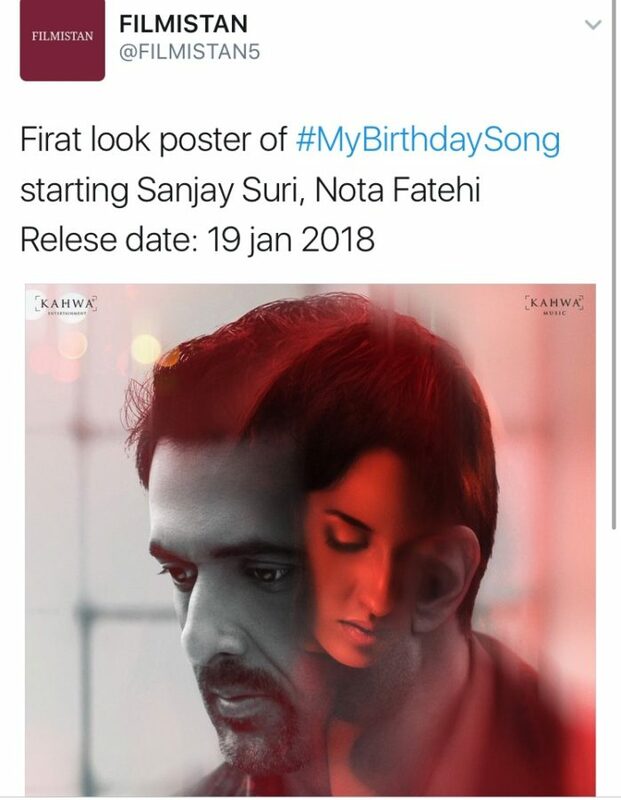 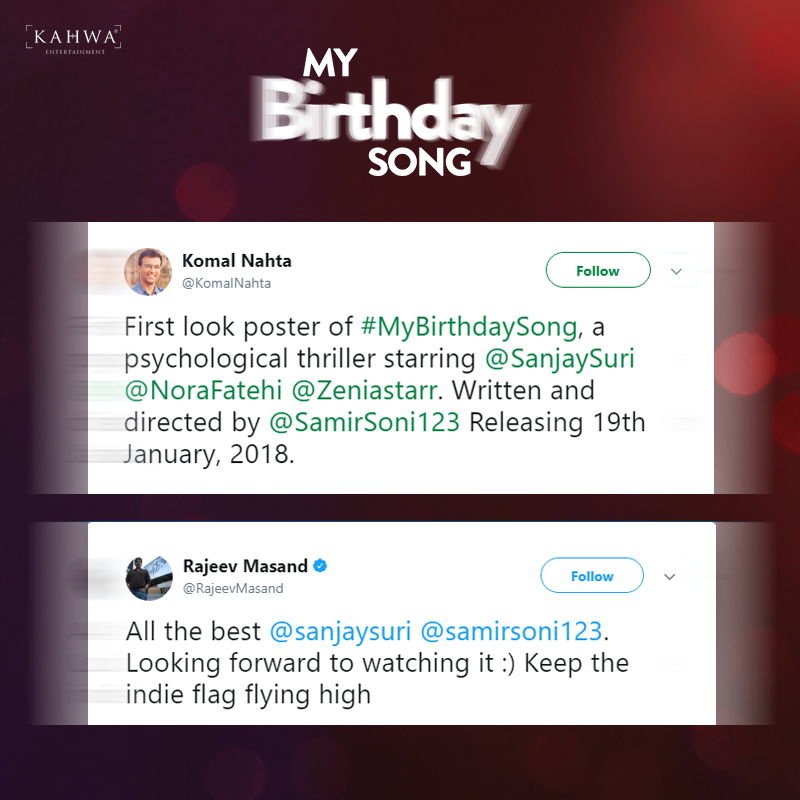 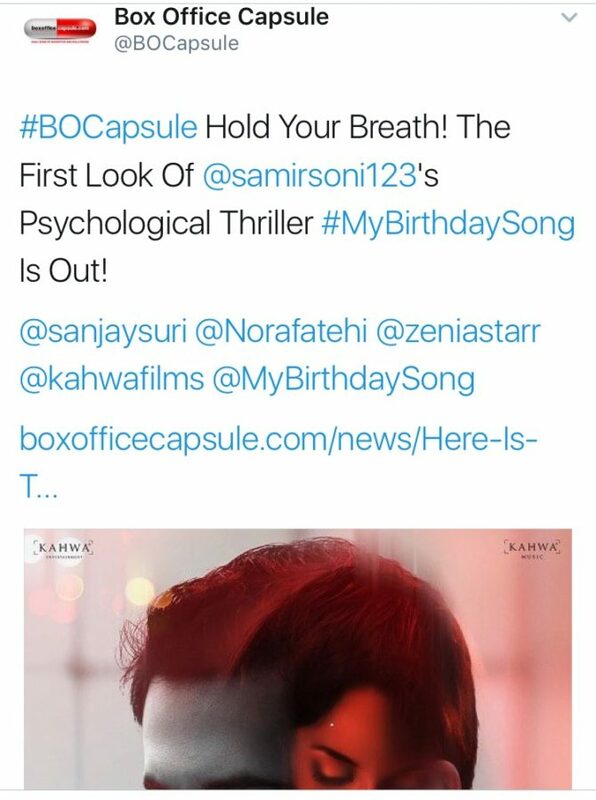 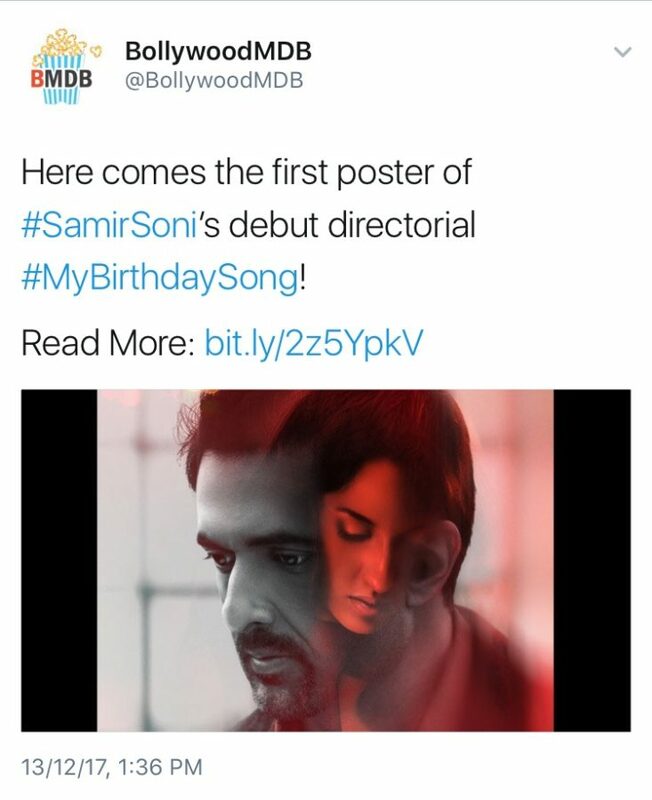 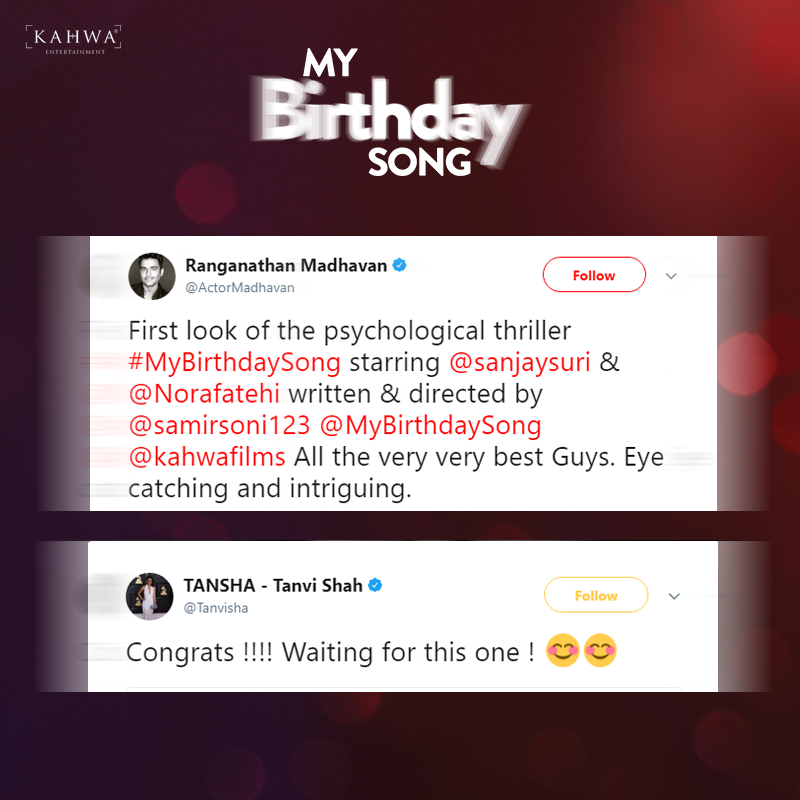 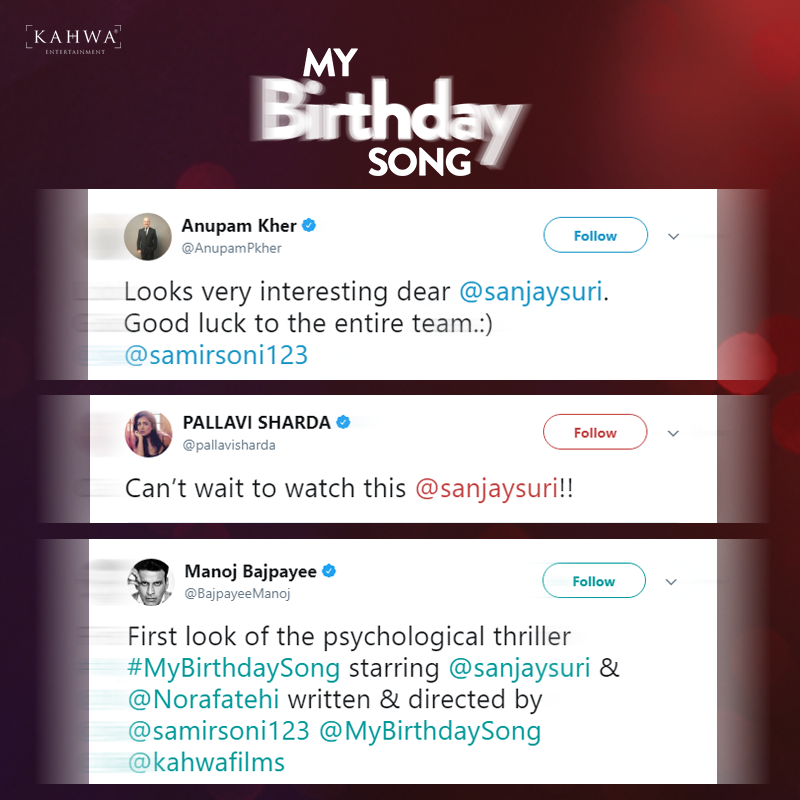 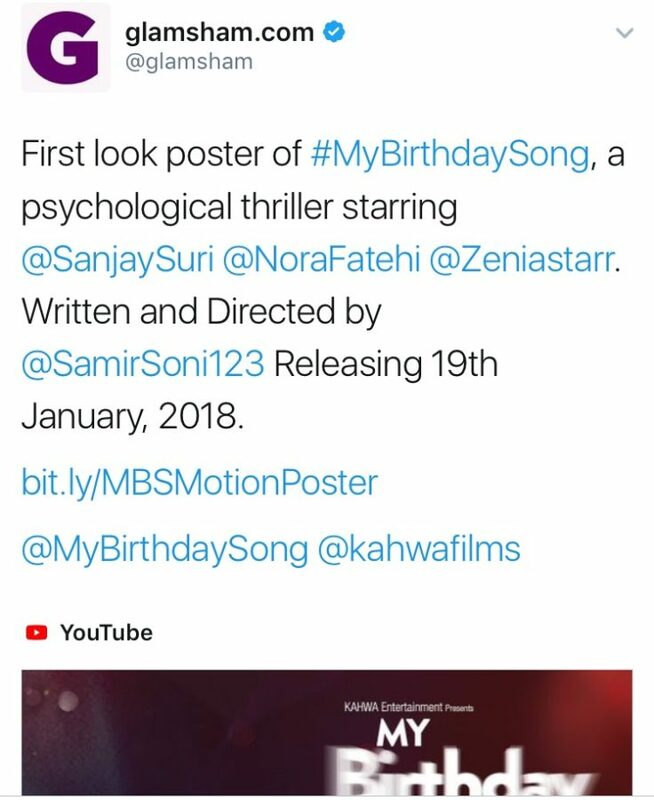 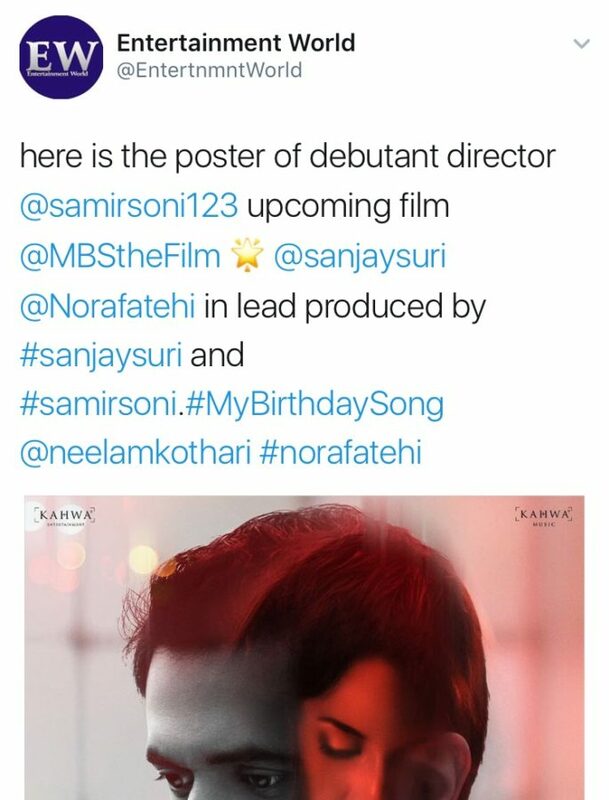 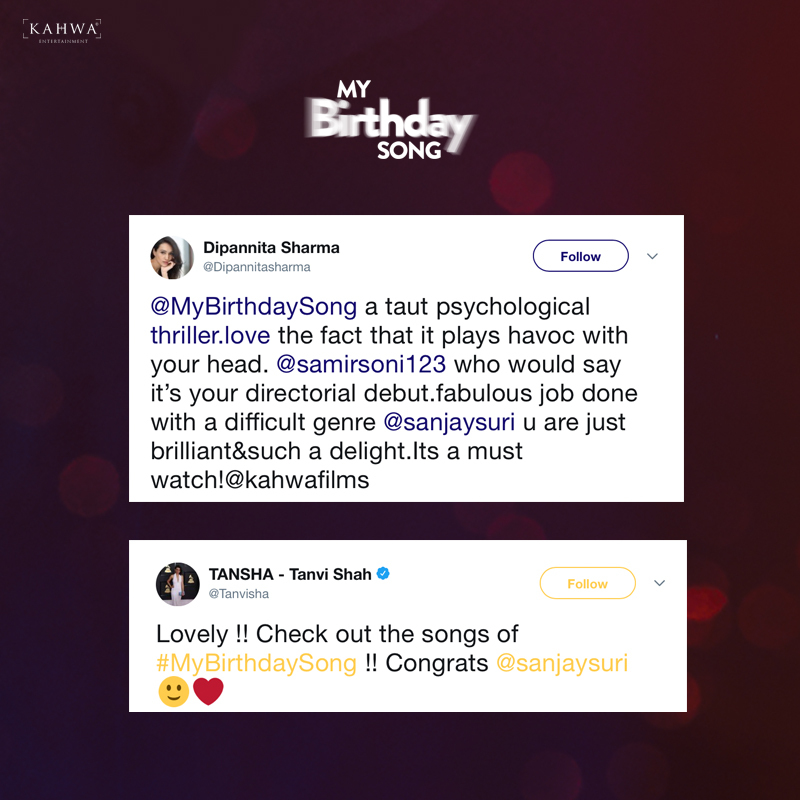 My Birthday Song is a psychological thriller written and directed by Samir Soni and produced by Sanjay Suri & Samir Soni. 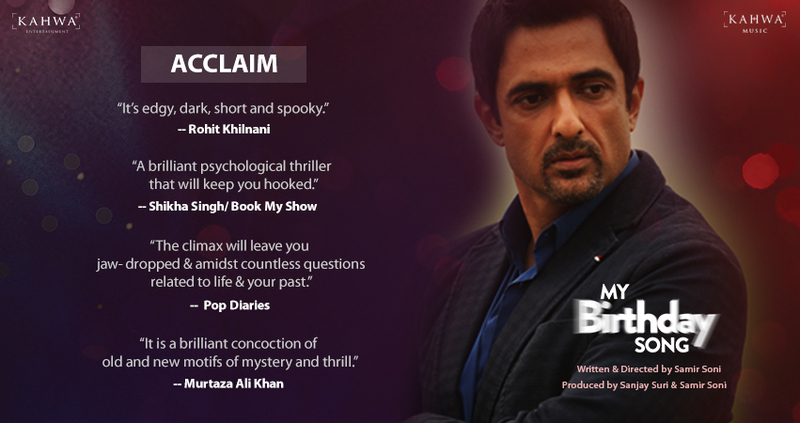 It a perfect blend of thrills and twists. 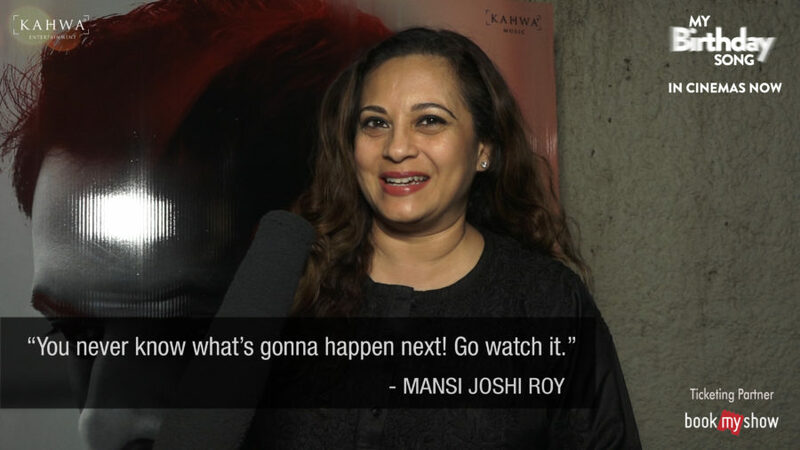 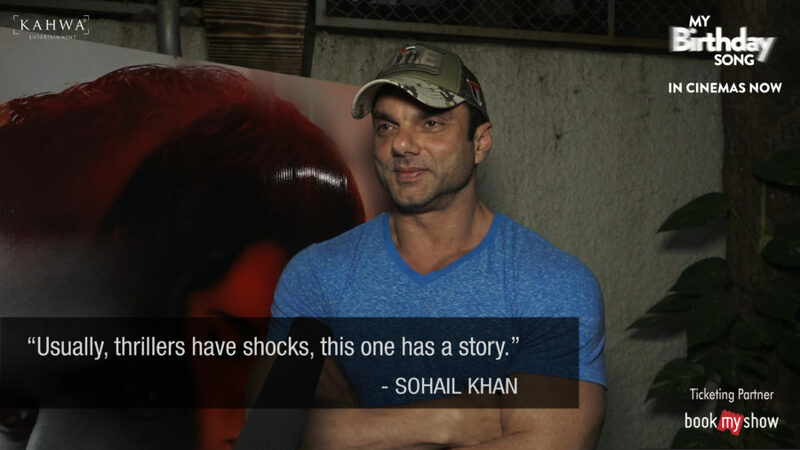 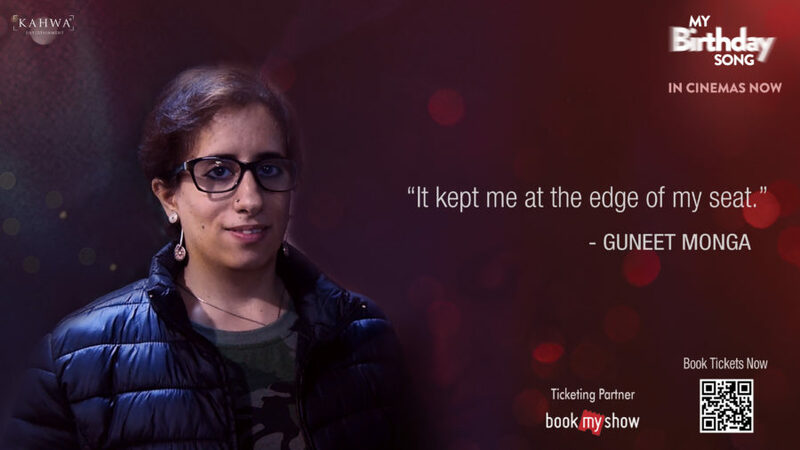 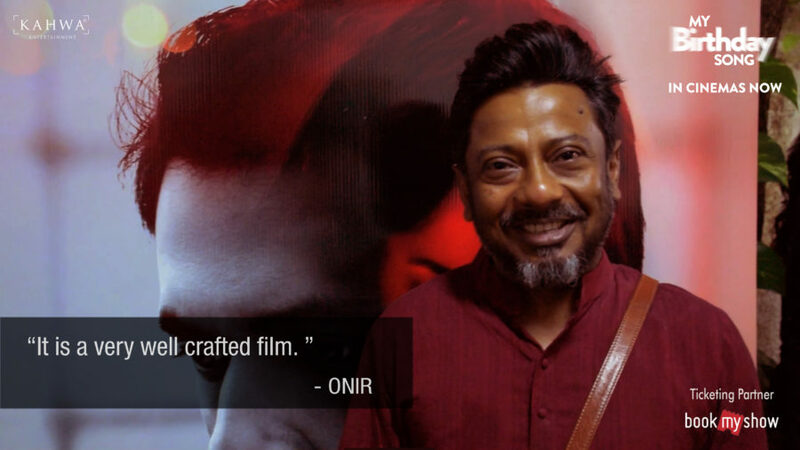 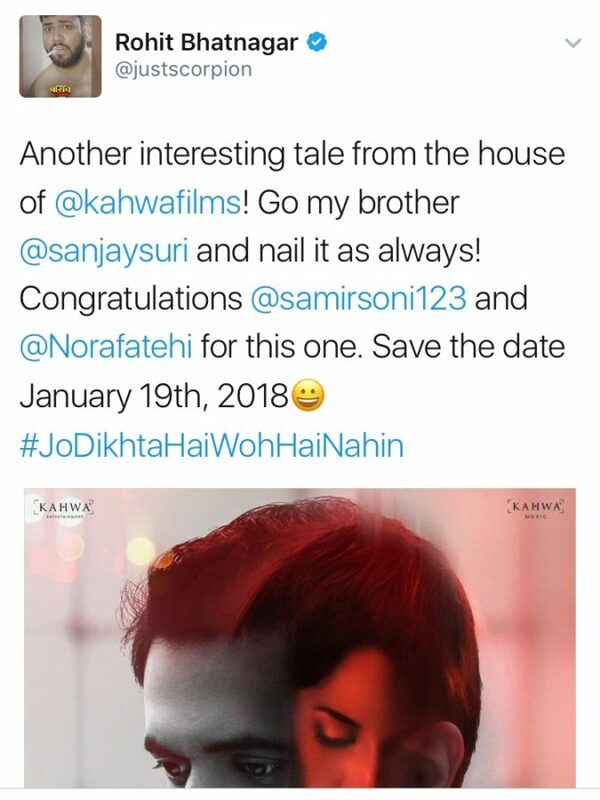 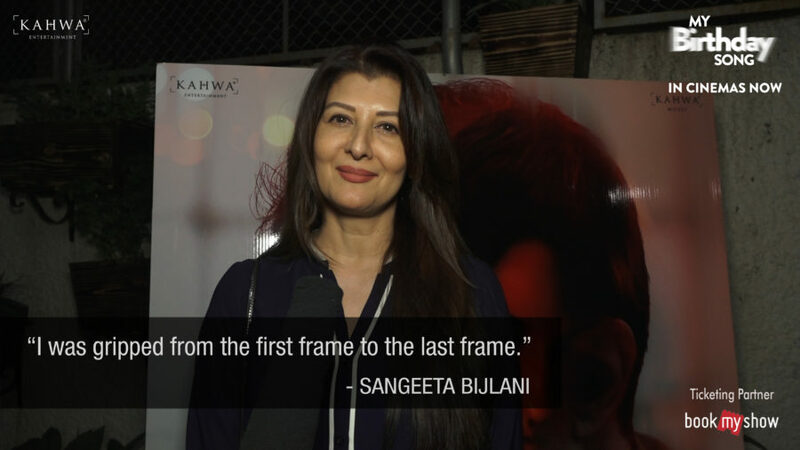 The movie released in India on 19th Jan 2018 is being appraised by Bollywood celebs, movie critiques and audiences being termed as intriguing, engaging, edgy, spooky etc. The movie is released by Raksha Enterprises.